Croatia has long been considered a jewel of the Mediterranean, consistently ranking as one of Europe’s top destinations—and it’s not hard to see why. From the postcard-perfect villages, colourful harbours and medieval walled towns that dot the seaside; to the countless beaches, bays and islands of the country’s spectacular coastline, studded with impossibly-coloured lakes and framed by rugged limestone outcrops, caves and canyons—this is a place of rich history and outrageous natural beauty. Croatia is superbly suited to outdoor pursuits—be it rambling through the walled hearts of ancient cities or exploring the beaches, islands and azure waters of the coast by bike or yacht. Fall in love with the World Heritage Listed old city of Dubrovnik, “the Pearl of the Adriatic”, with its rust-coloured roofs, fortified city walls and medieval monasteries, palaces and plazas. 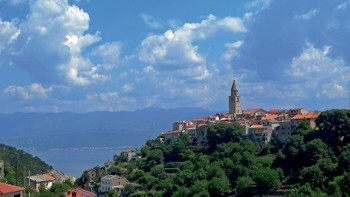 Explore the magnificent Kvarner Bay in the north Adriatic, sailing between beaches, bays and islands and heading ashore to cycle through harbour villages and picturesque Mediterranean landscapes; and discover the crystal-clear waters and ancient architecture of the Dalmatian Coast, spending your days island-hopping by boat or bike and your nights moored in scenic ports and quiet bays. Our unique cycling and sailing journeys are tailored to get you deep into the heart of this stunning country. Have a browse and start planning your Croatian adventure! 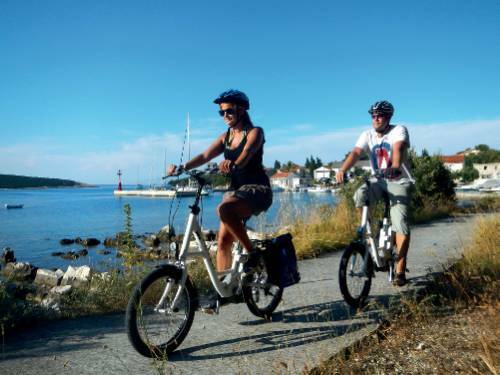 Croatia's best kept secret; discover this charming northern Adriatic Bay and surrounding islands by bike and boat. Discover this lush, unspoilt island in the Southern Dalmatian chain on a bike and boat trip. Explore this string of magical islands featuring pristine forests, old towns, Venetian architecture and great cycling routes. The historic old town of Porec is the end point of the incredibly scenic Parenzana Cycle Trail, which begins in Slovenia and also passes through Italy. Due to the shape of a ship's hull the size of cabins vary from boat to boat. Boat based trips include below deck berths however you can upgrade to above deck for an additional cost. Berths contain simple but functional equipment and are furnished with beds and a small wardrobe or an open shelf. There is enough space for sleeping and storing your travel bag. The crew includes an onboard cook. Guest cabins are a little bigger than standard boats and include more luxurious fittings as well as a private bathroom. Self contained with basic cooking facilities, studio apartments cater for up to two people, with the option to upgrade to larger apartments with bedrooms if you have more in your party. Electricity in Croatia is 230 Volts, at 50 hertz. The most common pin type is C. (2 round prong).